Mourik Limburg’s activities cover a wide range of often simple and project-oriented activities. Our work consists of Cleaning and Steel Construction, including steel tanks, traffic portals for trunk roads and steel bridges, and the renovation of dams and sluices. 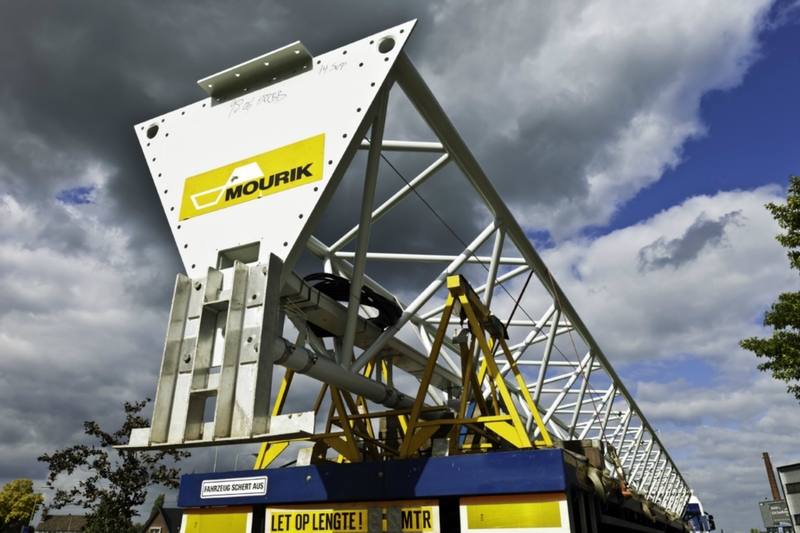 To carry out these activities, Mourik Limburg has spacious and well-equipped production halls with a hoisting capacity of 40 tons, which are managed by experienced and skilled project managers. We are a reliable partner that creates added value with a wide range of services in several technical disciplines, making optimal use of the synergy between the various Mourik companies. More and more often, our projects are multidisciplinary and huge demands are made on process control. The trend towards new forms of cooperation and total concepts is set to continue. Mourik Limburg has already built up a wealth of experience in this area, but we also fully realise that we must intensify our store of knowledge. In this framework, we want to develop into a proactive, versatile and flexible partner who contributes to the thought process − in short, a partner that offers more than just people and equipment and that works with the client to realise the target they have set together. Our projects are becoming increasingly more complex and require us not just to design solutions according to specific standards, but also to work and think ‘outside the box’. Extensive attention to innovation and the need for sustainability. The great majority of the company’s contracts relate to the national and regional infrastructure sector, including transport-based bearing constructions, new construction projects and the maintenance of wet engineering structures, such as sluices. In this area, a possible shift towards the larger maintenance contracts may soon take place. The expertise built up by Mourik Limburg in this infrastructure sector is so specific that the company is now already fulfilling a specific role. Mourik Limburg believes it is very important to innovate in order to capitalise on the increasing need for sustainability. Amongst other things, this means that we are now using a different working method. We are working and thinking together with our clients. We also believe in the importance of transparency and demonstrability and of bringing our own knowledge and experience to the table in order to come up with the best possible results for our clients now and in the future. To make these types of processes demonstrable, we have obtained certifications such as the ISO 14001, the CSR Performance ladder and the CO2 ladder. In addition, we have been certified for ISO 9001 and VCA** for some time. In late 2011, Mourik Limburg was the first company in the Netherlands to obtain NEN EN 1090-2 certification for steel companies. This certification is due to become mandatory in the future, which clearly shows that we are leading the way in this area. All of this means that we will always invest in quality, knowledge and skill. After all, these are the essential success factors in which we aim to stand out in the market.